Linda Sue Comer (Susie) - Comer Construction, Inc.Comer Construction, Inc.
Linda Sue Comer (Susie), is President & Treasurer of Comer Construction, a women-owned general contractor company recently named as one of the Top 25 Construction Companies in the Greater Baltimore region. Susie has been with the company since its inception in 1982 by her father, J. Marvin Comer, as J.M. Comer Construction. 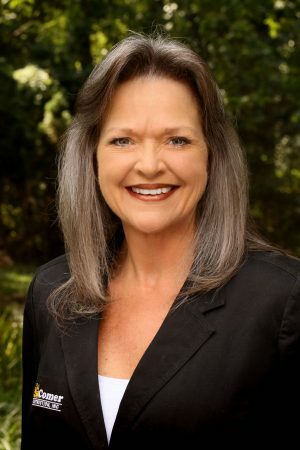 Susie served as President of the company for 16 years, before purchasing the assets of the company with her two sisters to start Comer Construction, Inc. in 1998. As President & Treasurer and Director of the Estimating & Project Management Divisions, Susie’s vast knowledge of the construction industry and commitment to the community are contributing factors to the overwhelming success of the company. Susie has always acknowledged a mission to invest heavily in the local community by providing employment opportunities to local residents and encouraging advancement opportunities for current employees. She continues to expand the company’s role as a leader in the construction industry by providing customers with the highest level of quality construction services at market competitive prices. Susie is a respected leader in the construction industry and the community as a role model and committed supporter of the advancement of women in business. Susie is a member of the National Association of Women Business Owners (NAWBO).